Considering Robotic Hair Transplant? ARTAS Hair Restoration? Filmed by Daily Planet – Discovery, the first ARTAS hair restoration procedure (robotic hair transplant) is performed in Canada by Dr. Rahal. Considering a robotic hair transplant? Click here. Interviewer: Now for a lot of people there comes a time when hair gets a little bit thinner, little bit greyer and there just seems to be less of it. And maybe a hair transplant wasn’t what you were hoping to have but now hair transplants have an extra cool factor because surgery just got robofied. You heard me correctly. Today, for the first time ever in Canada a robot and surgeon buddied up on a hair transplant. Dr. Rahal is fresh out of the operating room and he joins me now. So, can you tell me what happens in a hair transplant procedure? 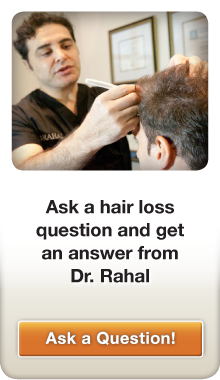 Dr. Rahal: Well, typically in a hair transplant procedure we want to remove hair from the back, what we call a donor area. A donor area is genetically programmed not to be lost in the future. So we want to take those hairs and we want to put them in the front or the top or even on the crown depending on the individual patient. These hairs have to obviously survive and the method of taking them out, the procedure ensures their survival. And this is where the technology is advancing. 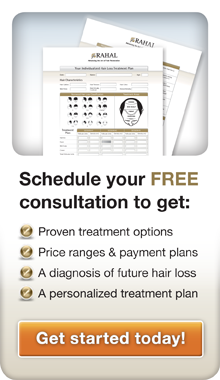 Considering ARTAS hair restoration? Click here. Interviewer: So, in the past you’ve done this by hand, and now what exactly is the robot doing in this procedure? Dr. Rahal: The robot what it does it has two cameras right in the front. It’s basically mapping out the grid -the grid has all the hairs that it wants to remove. It will precisely to a very, very small factor calculate the angle of where these hairs exit from the back of the skin or the head and calculates the direction so when the punch moves in to the skin to be able extract those grafts its going at the precise angle that those hairs are coming out. And the reason that is so important is it’s a very small punch, it’s between .9mm and 1 mm punch. You want it to go right over the hair and the route in a cylinder. And so if you’re off by a very small degree you can actually damage the follicle, which is something we don’t want to happen. Interviewer: That makes a lot of sense. So are robots better at doing this than a human? Are they faster, are they slower? Dr. Rahal: It’s a little bit more fast, a little bit more precise than the human. And that’s where the advantage of the robot makes this procedure, I guess, more available to many patients because you can do a lot more grafts in one setting or one session. Interviewer: Is this thing flying solo or is there somebody overseeing the procedure while the robot does its work? Dr. Rahal: There’s usually three people operating it, so it’s not something that you set it and leave it and go for coffee and come back. It’s something that we have to basically assist it, so we have to guide it to where it goes. We are always monitoring and looking over the grafts that are being removed, to make sure that everything is on track. So it’s not, in a typical surgery you need 7, 10 even 12 people. In this case you’re narrowing it down to three well trained individuals and that’s going to create more efficiency and I guess less manpower. Interviewer: When you’re doing procedures with the robot you obviously have to think about worst case scenarios. What is the worst thing that could go wrong with a robot pulling hairs out of the back of somebody’s head? Dr. Rahal: Well, not really much because we are controlling the speed of the extraction, we can control the depth of the extraction, we can control the speed of it and the angle so essentially it is automated but at the same time we are still overriding it. As far as risks, as far as anything, in term of any procedure the patient has to be healthy, the patient is monitored. We want to look at their other factors so that they are good candidates for the surgery in the first place. But as far as the robot per se, versus a technically manual one there is no extra risk. Interviewer: So the robot helps get the hair out from the back of the head, but does the robot play a part in putting the hair back in at the top or the front of the head? Dr. Rahal: At this point no, at this point we still have to do that particular part of the procedure manually. We need to make those incisions manually; we need to plant those grafts in manually. According to the research there will be the next phase where the robot will actually make the incisions. I don’t think it’s ever going to do the implanting, but that is a possibility. The next part of this is it’s going to make the incisions and then potentially to put the implanting in. Interviewer: Do you ever foresee a day when the robots will be able to do the whole thing from start to finish? Dr. Rahal: If possible it’s going to be at least ten years away. I don’t think…You’re always going to need a human hand, a human touch. With the hair transplant surgery there’s a lot of art to it. There’s science, of course, but there’s a lot of art to it. You know, designing a hairline, designing a hairline appropriate for the patient, make sure the patient is qualified; all these things are human factors. When it comes to the actual technical part of it, certainly, the robot and any other advances will play a bigger role. Interviewer: So that human touch is still there for now?? Dr. Rahal: Yes, it will always be there, I feel. the human touch is always going to be there to guide it along. Interviewer: Well, congratulations on pushing the technology forward. Thanks for talking to us, Dr.Rahal. Dr. Rahal: Thank you, thank you very much. Considering a robotic hair transplant? 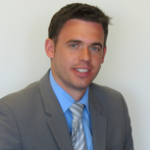 Schedule a FREE consultation with Dr. Rahal Click here.